The advent of 802.11ac demands network upgrades, often on a large scale, to keep pace with growing demands for both coverage and capacity. BYOD requires easy onboarding and end-user-centric, self-service identity management solutions. The range of mobile devices that need to be supported continues to grow, and diversity in mobile operating systems can further burden already-overworked IT staff. So how can we find balance, and still manage to give guests and workers an unmatched Wi-Fi experience? 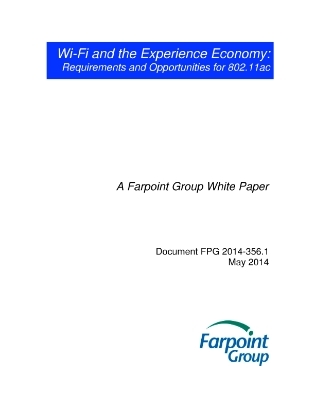 This exclusive whitepaper offers an in-depth look at Wi-Fi's history, and where it's headed in the future. Read on to learn more.